Guest post by Victoria Greene of Victoria Ecommerce. I’m sure it’ll come as no surprise to you that your customers are living, breathing people with hopes and fears and dreams. Humans are emotional creatures, and that’s the best way to engage with them—through their feelings. Indeed, studies on the psychology of sales have shown that consumers rely on their emotions over rational information when making purchases. 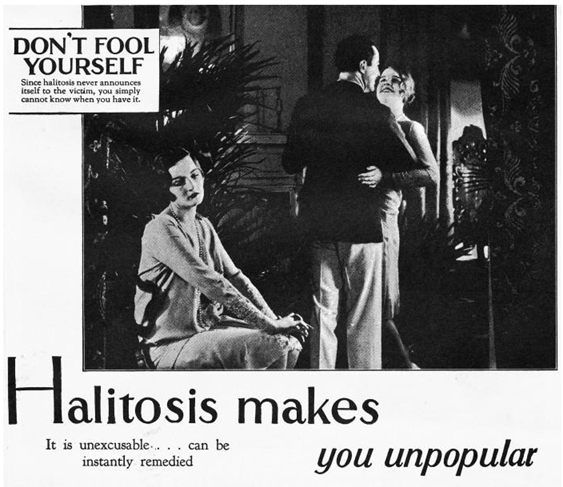 Listerine creates the fear of social ostracization through the possibility of having bad breath. They then position their product as a solution and a preventative to that. So, when you’re writing your product listings, be sure to appeal to their feelings. Maybe they’re concerned about keeping their look fresh and on-trend this summer? Your luxury swimwear is stylish and current, fulfilling the need they didn’t know they had. Or perhaps they want to buy a gift that’s different from what they buy every year. Your product is that gift! Regardless of what those rebels without a cause say, people respond well to authority. If you’re at an event and someone in a fluorescent jacket tells you to move, chances are you’re going to move quickly, without giving it a second thought. So how can we apply this to ecommerce psychology? Expert testimonial. Try sending your product to a renowned expert in your ecommerce field, then getting their feedback on it. For example, if you sell sportswear, send a free sample to a personal trainer with a big online presence. Use their review in your product listing, with their photo and a brief bio. No expert on hand? No problem. If you or one of your team have enough experience, you could be that expert. 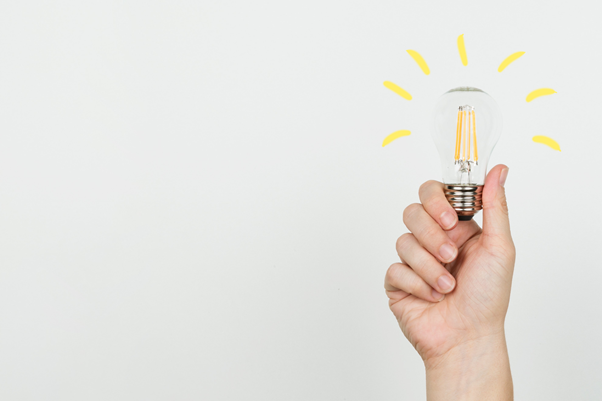 Even something as simple as singling out your staff favorites is enough to lend your product weight with significant authority. After all, who knows your product better than you? The principle of social proof is similar to authority, only instead of doing what the experts tell us, we do what other people do. 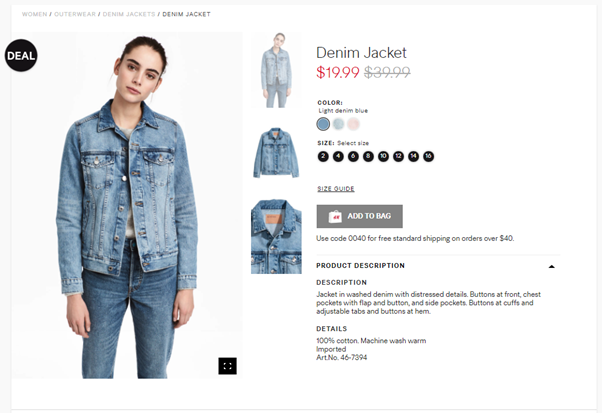 Just as one person wears a new jacket, then a couple of weeks later everyone is wearing the same jacket, the phenomenon works in ecommerce psychology as well. So, if people are singing your praises, let everyone know! You can incorporate this into your product listing by ensuring any positive customer reviews are readily available and visible. With some ecommerce sites like Amazon, they are already displayed as part of the product listing. However, you can also collate these yourself and add them in to your chosen ecommerce platform. This can be done easily and quickly, for example by offering customers a discount voucher when they leave a review after making a purchase. That “Taste” section really pops, doesn’t it? You can almost taste the coffee. So think about your product. Is it edible? Or something you wear? How will your customer interact with it? One or more of their senses will be impacted by it, so tap into them with the words you use. Your specially-selected wines aren’t just good, they’re smooth and bold, bursting with rich flavor. Your chiffon summer cover-ups aren’t just soft, they’re as light as a feather and velvety-soft to the touch. Using sensory language will spice up a product description and reel in customers in droves. The psychology of customers dictates that a person is more likely to make a purchase if they feel an affinity for the brand in question. Essentially, if they like you, they’ll buy from you. Big brands do this by hiring celebrities to endorse their product, and to great effect. But you want to write an ecommerce product listing that creates an affinity without breaking the bank. How? By telling a story. This evocative and intriguing product story paints a picture for the reader. 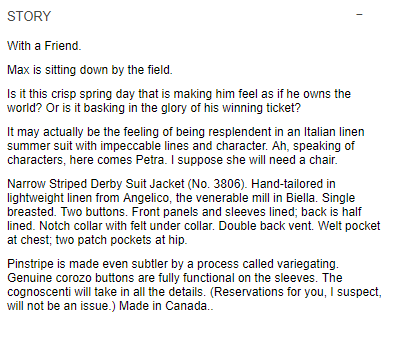 It gives the jacket a real, emotional dimension, and one that undeniably draws in the consumer. If you go into a shop and see a top that you really love, but you’re unsure about handing over the cash for it, you might leave it and mull it over. However, if there are only three left, you’re not going to want to miss out. That’s the principle of scarcity in action. This is a commonly used tactic in ecommerce psychology, and one that works to great effect. In fact, a 1975 study found that the less there is of an item, the more valuable it is perceived to be. Include a limit or deadline in your product listing, and you will see your sales soar. And to really boost your figures, include a ticker counting down to the final date of a sale. The urgency will compel even the most reticent of customers! Think about the last three things you bought. No matter how much they cost in dollars, they’ll probably all have ended in .99. This is called psychological pricing, and is probably the most commonly used method in the psychology of sales. In its broadest sense, it is the theory that certain prices have a more significant impact on customers than others. 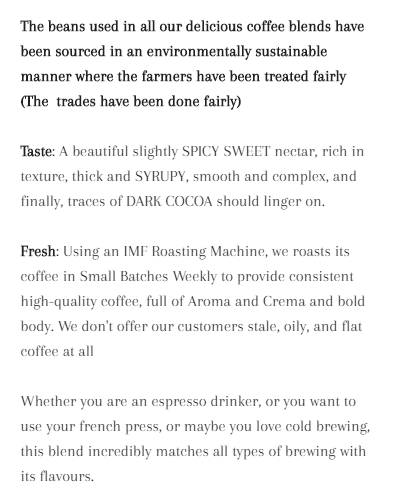 Familiarize yourself with the different types and experiment with your own prices. So what can you take away from this? It all comes down to thinking about your customer and what makes them tick. Once you’ve identified that, go for the jugular. Appeal to their emotional needs—and their senses too. Boost your product value by highlighting when it’s scarce. And when there’s a discount, make sure your customers know how (relatively) good the deal is for them. Ecommerce psychology offers a world of opportunity for you, so don’t be afraid to run with it! Victoria Greene is a branding consultant and freelance writer. For all the latest developments in ecommerce, marketing, and design, check out her blog, Victoria Ecommerce. Victoria has a passion for getting the best return on online businesses for ecommerce store owners.